Although treats for dogs in stores are inexpensive and are enjoyed by many types of dogs, they might have ingredients that you can’t pronounce or know little about. 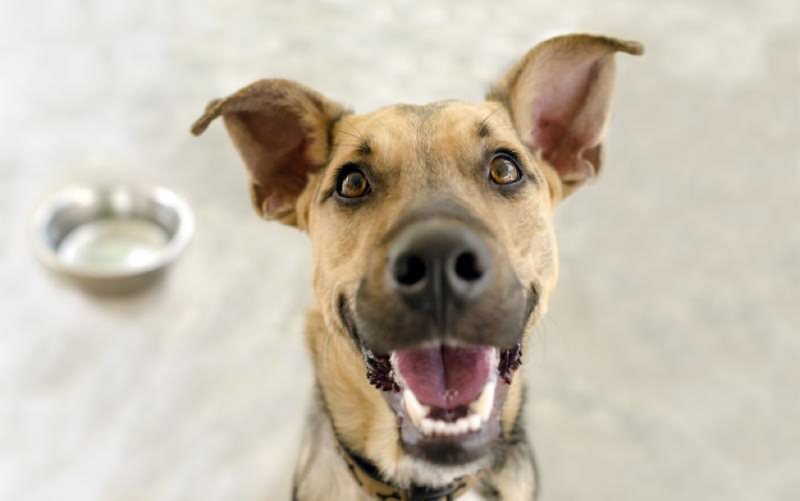 A fun way to interact with your dog is to make treats at home, or if anything help make the lives of guests and pet sitters easier when you provide them with something to share with your furry friend. There are numerous recipes available, and you can often change a few of the ingredients to suit a dog that might be picky or that might have allergies to certain foods. Dogs can eat just about any kind of peanut butter and will love them in a ball with other great ingredients. Combine two cups of flour, half a cup of peanut butter, and two eggs in a bowl. Blend everything together until a dough is formed. You can add coconut oil or even a small amount of canned pumpkin for more flavor, just be sure that the oil you buy is cold-pressed, as it will have preserved a lot more nutrients than when pressed otherwise . Roll the dough to cut out shapes that look like a bone, or form the dough into small balls for your dog to enjoy. Most baby foods are safe for your dog, especially those that are made with fruits or vegetables and you can make very interesting treats with it. This is an easy recipe if you are unsure of exactly how to make dog treats at home or if you don’t have a lot of time. Combine two cups of organic flour and two jars of baby food. The pureed kind works best with this recipe because it will be easier for your dog to eat. Blueberry and sweet potato are good options to start with. Make small treats to give your dog, or put the mixture in an ice cube tray for a frozen treat in the summer. If you’re eating fries, then we bet your dog will likely be sitting beside you wanting one or two. Fix your dog a few fries of his own to enjoy using sweet potatoes. Slice sweet potatoes so that they look like fries. Sprinkle cinnamon on them and a drizzle of coconut oil. Bake them for about 30 minutes. These are a delicious treat for dogs that will also allow them to get some of the vitamins and nutrients that they might not get from the dog food they eat. Bake at 350 degrees for 14-16 minutes and let cool until hard. Most dogs enjoy cheese of all kinds, so why not make treats using this healthy food? This recipe does call for four cups of flour and two cups of shredded cheese, but you can cut the amount in half if you don’t want to make this much. Add enough water and oil to make dough. Roll the dough out before cutting into bone shapes, baking on a low setting for about an hour or until they are slightly crisp. However, note that the American Kennel Club cautions that some dogs are allergic to or intolerant of cheese. Dogs enjoy eating some of the things that people eat. While you should avoid giving your dog table scraps, some recipes are using healthy ingredients that make delicious treats any time of the year. After making the treats, you can store them in plastic bags or in an airtight container so that they will last for a few days.